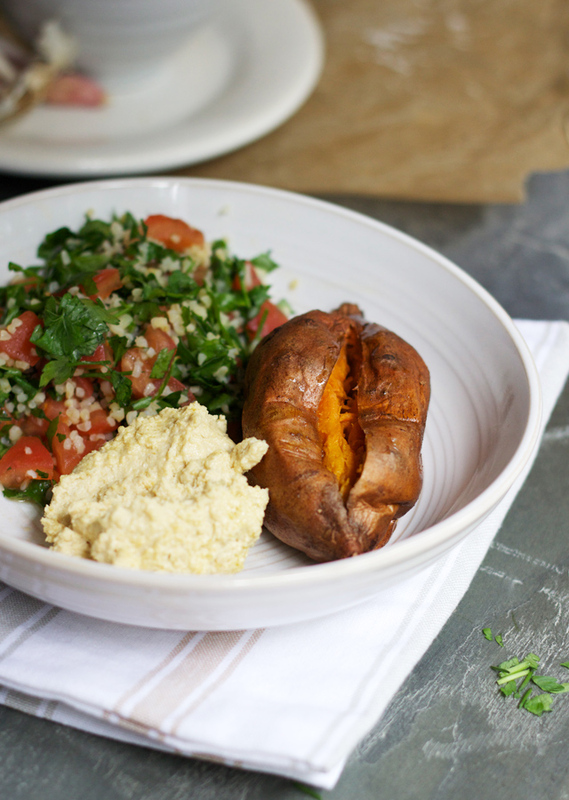 Baked sweet potato with tabbouleh and hummus. Stuff you need to know about this dish: 1. It’s wheat free. 2. It’s vegan. At least, I think it is. (Did you know that Oreos are vegan? Mind blown!) 3. 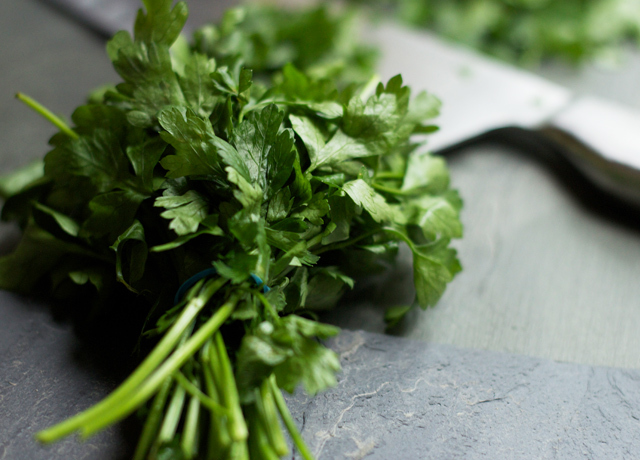 It’s got a ton of parsley in which I usually hate, but really love here. 4. It tastes totally great. I made it after eating a similar salad at Starbucks, which is made up of tabbouleh, chunks of roasted butternut squash, hummus, and sweet potato falafel. It’s pretty delicious, but it’s also always freezing cold and is 4+ quid. Anyone else share my hatred of fridge-cold salads? Blurgh. Nothing worse. You should know, sweet potatoes are the latest in a very long line of vegetables to be added to Jason’s list of things he Really Doesn’t Like Very Much. Also on the list? Fennel. Spinach. Kale. Green beans. Sweetcorn. Brussels sprouts. Celery. Tomatoes. 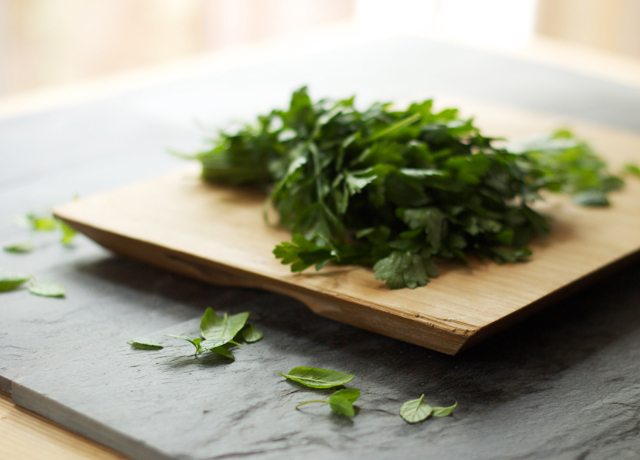 Parsley. Mange tout. etc.etc.etc. 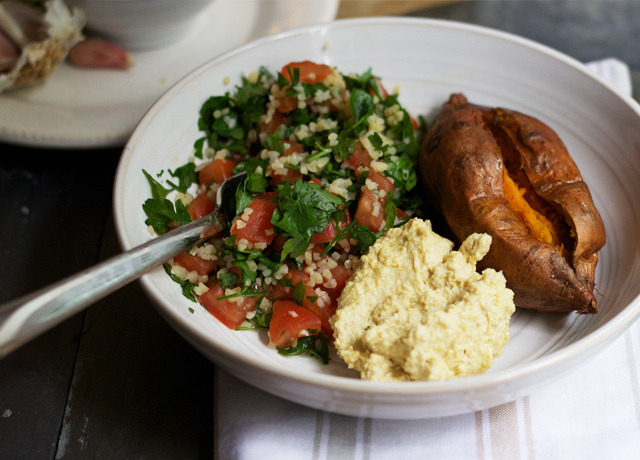 The long and short of this is, you should definitely make this and have it for lunch. Add a sprinkle of seeds onto the hummus. Put some green leaves on the side. Add in some cubed, roasted butternut squash. Buy pre-made hummus, because homemade is cool but not worth having to wash up your food processor. Anyway you fancy, it’s delicious. 1. 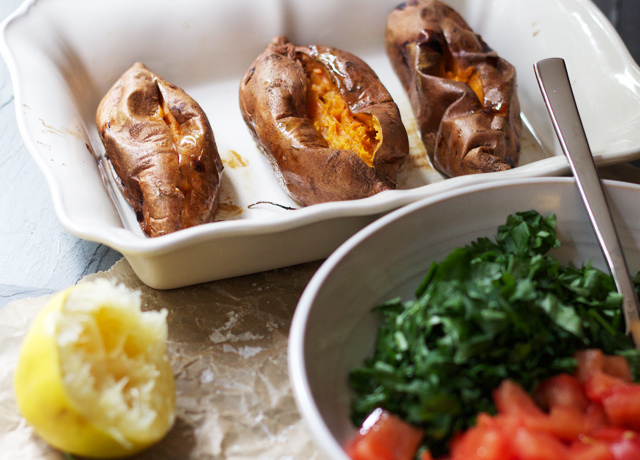 To make, drizzle the sweet potatoes in olive oil and salt, then roast at 180 for about an hour and a twenty minutes. I like to eat them at room temperature rather than hot, so baked these up the night before I made this dish. 2. Put the bulgar wheat into a bowl with 50ml boiling water, then cover and set aside for 20 mins or until all the water’s been absorbed. Mine needed 1 minute blast in the microwave towards the end of the 20 mins to really get them cooked. 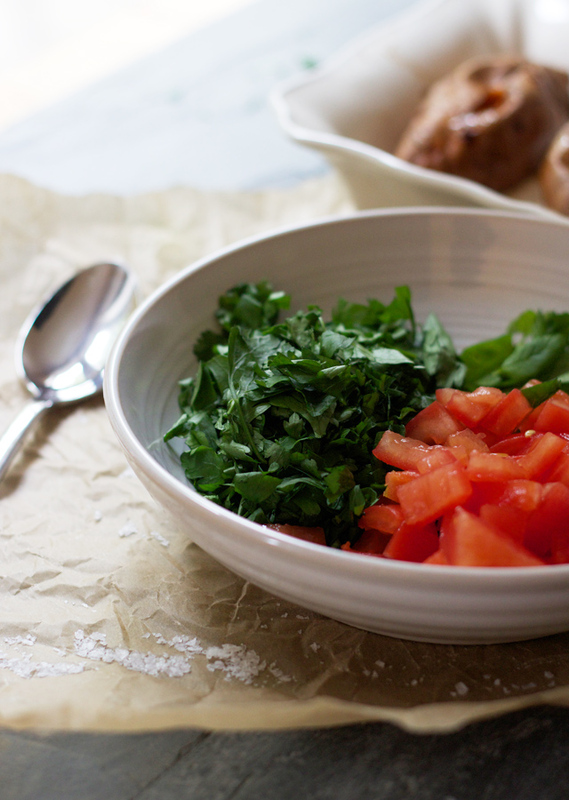 Cut a small cross in the bottom of the tomatoes, and cover them with boiling water. Leave for thirty seconds, then drain. 3. Peel the skins off the tomatoes, then deseed and dice. 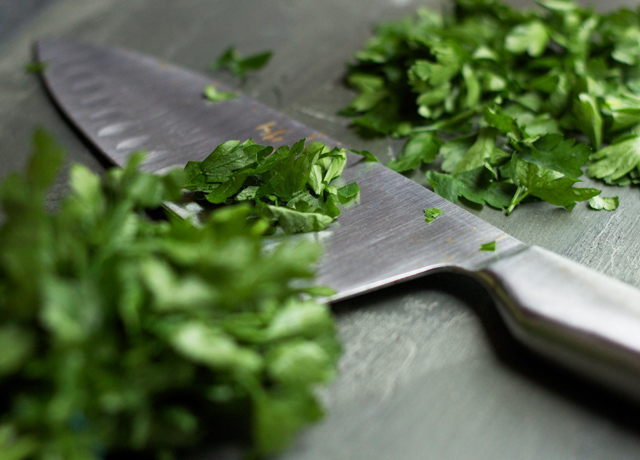 Finely slice the parsley and mint leaves, then add to a large bowl along with the diced tomatoes and cooked bulgar wheat. 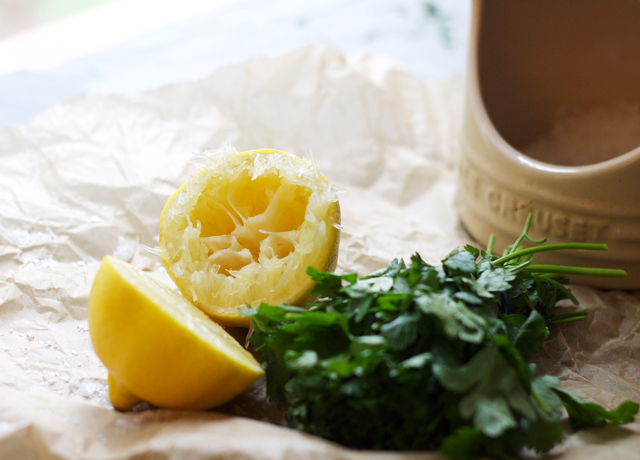 Dress with lemon juice, olive oil, and salt, and taste to check the seasonings. 4. 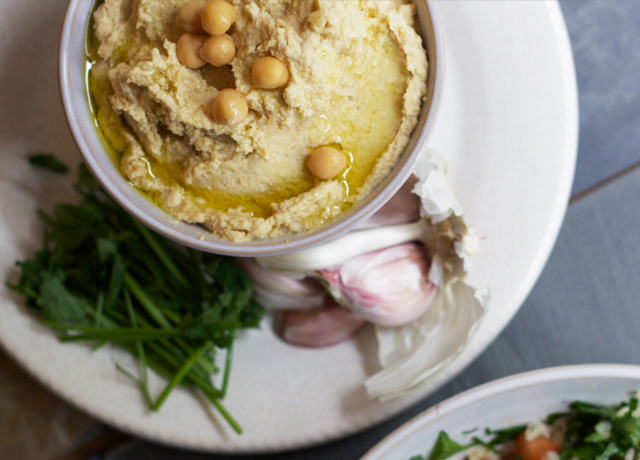 Drain and rinse the chickpeas, then add to a food processor along with all the other hummus ingredients. Process until you achieve a smooth creamy paste, then drizzle in extra lemon juice and olive oil bit by bit, tasting as you go, until the flavours are balanced and a light whipped texture is achieved. I’m slightly flabbergasted that someone could not like sweet potatoes! I think they’re awesome. Evolution took a good turn when they first came out of the ground! This looks delicious! I love sweet potatoes, in every which way. Thanks for posting the recipe, definitely going to give this a whirl at some point! thank you so much for your nice comment :) so happy to be advertised on your blog, I love it! This looks really delicious :D. And I didn’t know that Oreos are vegan cool to know :) (although I am not vegan or anything haha). This looks super tasty, darling! 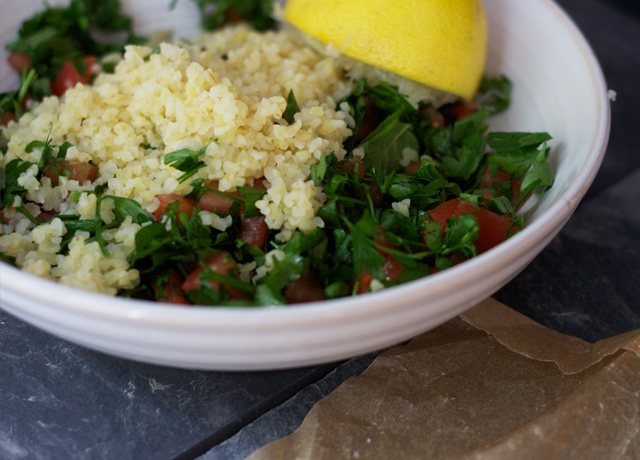 Tabbouleh is my pride and joy. If you’re ever in the middle east, make sure to try it out in some restaurant, everything always tastes better if you eat it where it came from. This looks seriously good! Can’t believe I’ve only just found your blog… I love it!!! Oh my gosh, this looks sooo good! 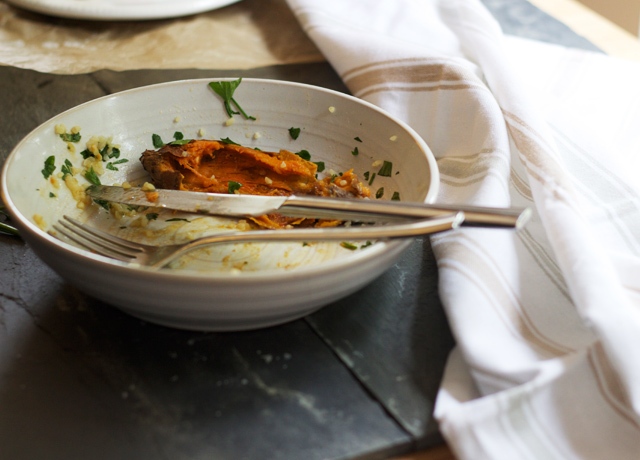 I just love easy and simple dishes! This looks amazing! I absolutely LOVE sweet potato (had it every day at work for like 3 months, woops) AND houmous so will definitely give this a try :)! I put sweet potato in basically everything, soups, chili, whatever. I should bake them more. Looks lovely! 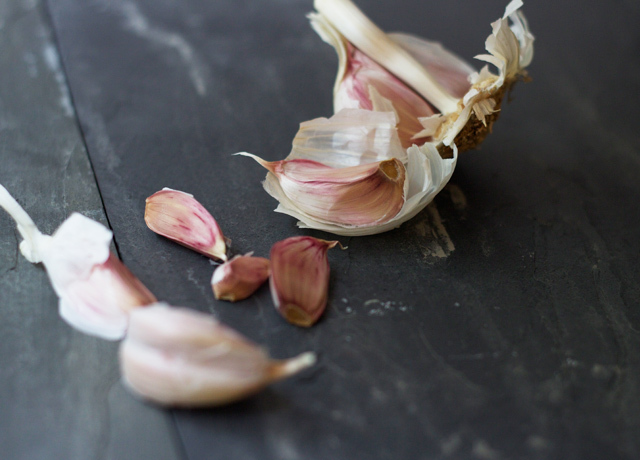 I love your photos in this post Rosie.. one thing I cant seem to master is food photography!